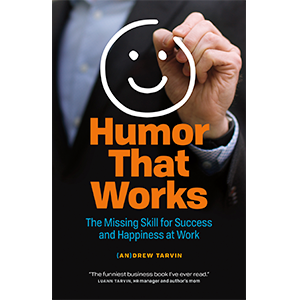 Andrew Tarvin is the best-selling author of three books, including his most recent release, Humor That Works: The Missing Skill for Success and Happiness at Work. His books have been featured on ABC, CBS, and Fox affiliates, have garnered 50+ five star reviews, and have been shot out of a catapult. 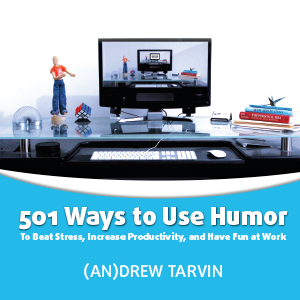 Andrew is also the primary contributor to the Humor That Works blog and has written more than 400 posts on business topics such as humor, leadership, and decision-making, garnering over 1 million pageviews every year. His newsletter has more than 4,000 subscribers from 100+ different countries. At the age of 31, Andrew Tarvin made the very practical decision to rid himself of most of his belongings, leave his Midtown apartment in NYC, and travel the country out of two carry-on bags. In 12 months, he traveled 92,358 miles and went to all 50 states (yes, even Wyoming). Are you stressed out at work? Are you looking for a way to step up your game? Do you realize that you spend nearly 50% of your waking hours at your job and therefore want to learn to enjoy it more? 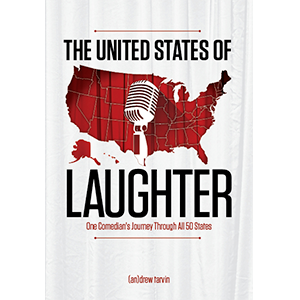 If you answered “yes” to any of the above, this book is for you. Interested in purchasing one of my books in bulk?